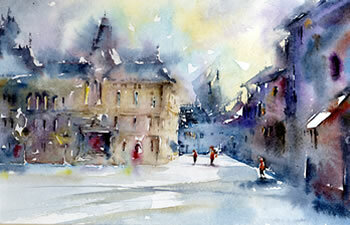 The beauty of painting a street scene is the unexpected, which can can appear without too much detail. It gives a sense of time and place to the image, which is always a joy. I feel this image of this swirling tree says more than the sum of its parts: time and history make an appearance, to add to the story too. Soaring buildings reach for the sky as does the stance of the statue. A mix of past and future allows the viewer to determine the outcome. Andrew's artistic journey began in 1991 with his work as a book illustrator, with work published by many leading publishers. He worked with Enid Blyton's daughter on her late mother's work and also produced very detailed botanical illustrations for Encyclopaedias. 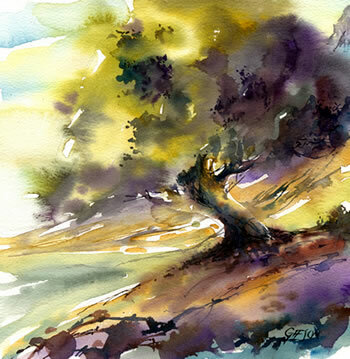 Andrew's style then took a dramatic turn as he discovered watercolour. 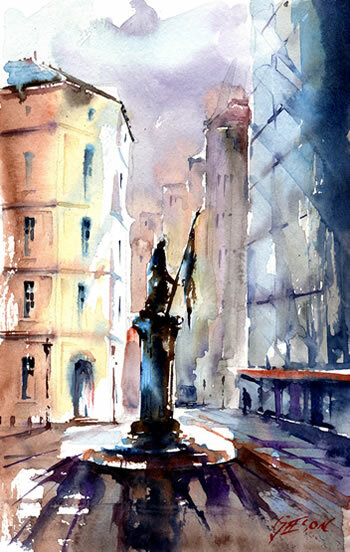 His loose and fast approach allows him to create beautiful atmospheric watercolours in a short space of time and has proved very popular with his students. 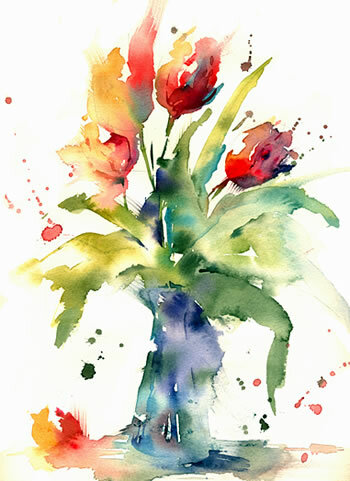 He paints every day, whether for himself, a commission or as part of his watercolour classes.